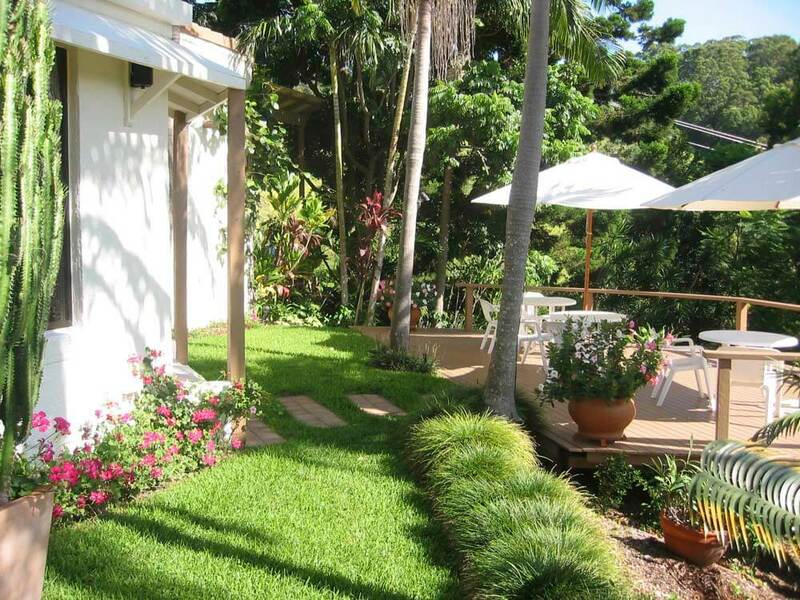 Santa Fe offers luxury bed & breakfast accommodation set on six acres near the Sapphire Beach and nine kilometres from the regional centre of Coffs Harbour with its award winning restaurants, cafes and bars. Lawns and terraced gardens lead downhill to a saltwater pool, a large lily filled lagoon with waterfalls and a Koi pond at the bottom of the property. The pool area and upper terraces are ingeniously lit and wired for sound. 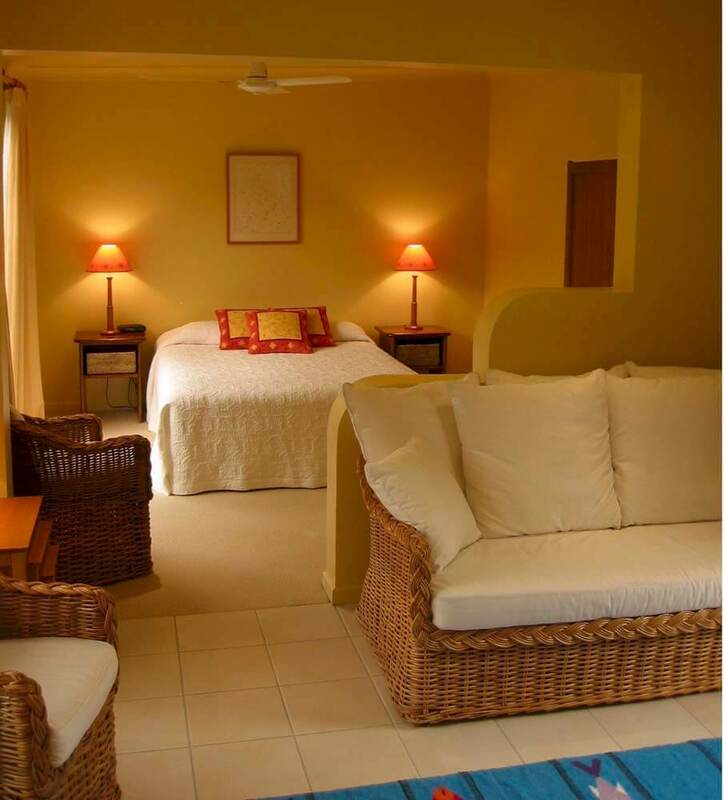 Suites are comfortable, private and well appointed, all with en suite bathrooms and private covered decks. 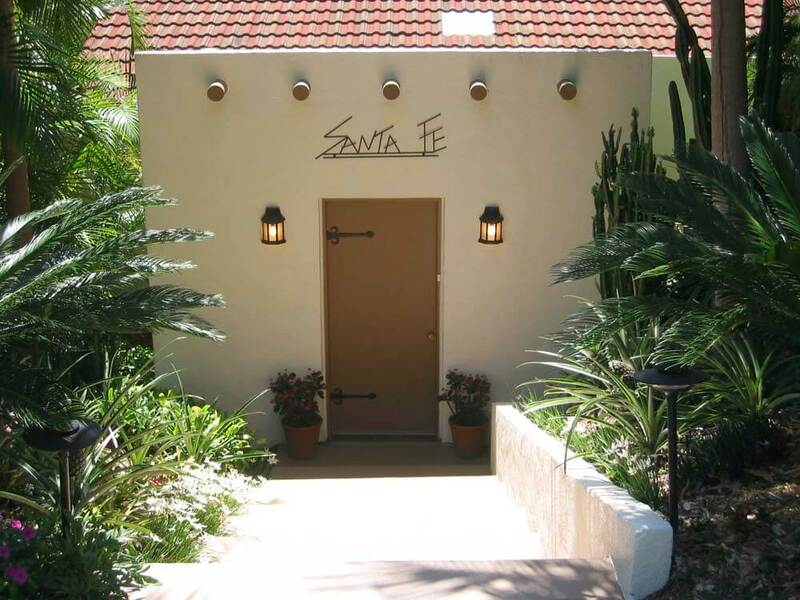 Aztec (Garden Suite) overlooks the garden, while the Navajo (Spa Suite) overlooks the lagoon. 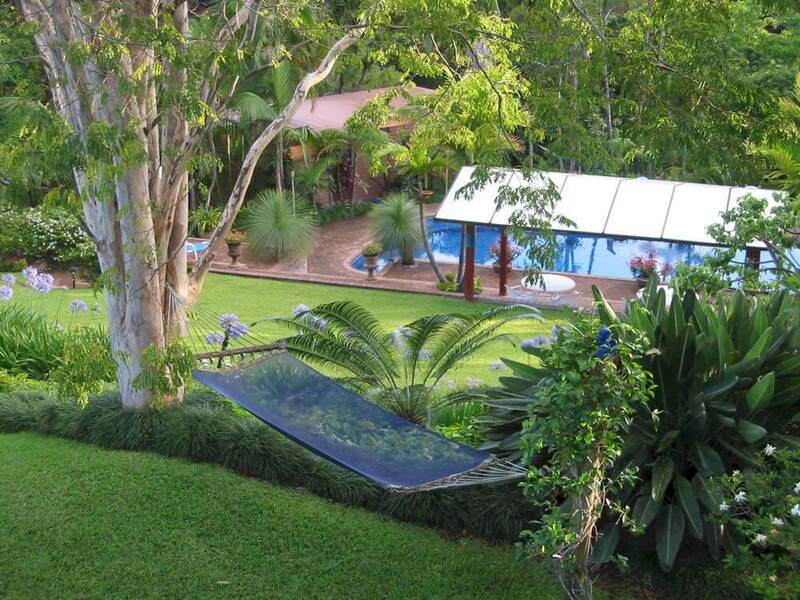 La Casita (Pool Bungalow) is a little house perched on the edge of a palm grove on the garden terrace with a deck overlooking the lagoon and features a separate living room and bedroom. The property does not serve dinner but a guest barbeque area is situated on the mid-terrace level overlooking the pool. Everything can be arranged and supplied for you to cook up a feast. The table will be set and you will be left in peace to cook at your leisure. Various take-away options are also available and a supermarket is two and a half kilometres from the property. Alternatively, there are a number of restaurants at ‘The Jetty Strip’ ten minutes away.